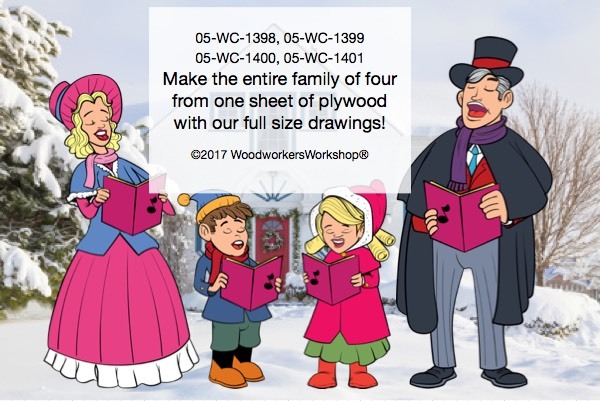 A new woodworking plan in our online store today, a family of Christmas Carolers; father, mother, daughter and son. Sized just right to maximize one sheet of plywood. The patterns are drawn full size, all you have to do is simply trace, cut and paint. OR choose our Color Print option to eliminate having to paint! Plenty of smiles will be created when passersby see this little gnomes working away! 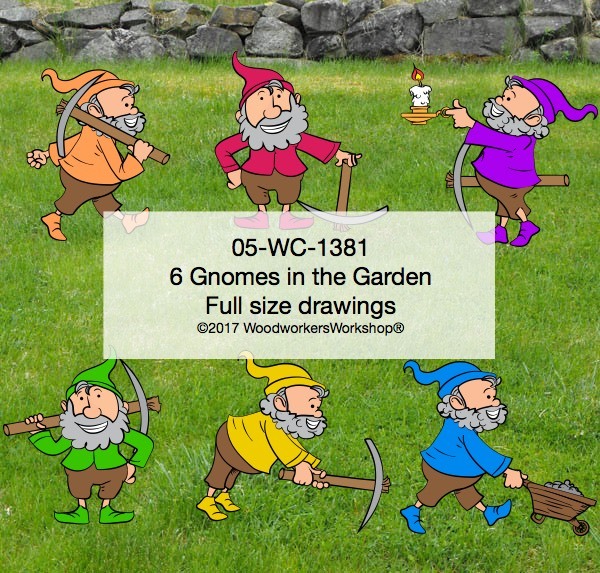 Our new woodworking pattern offers full size drawings and available in both paper and pdf download. A new woodworking plan in our online store today. 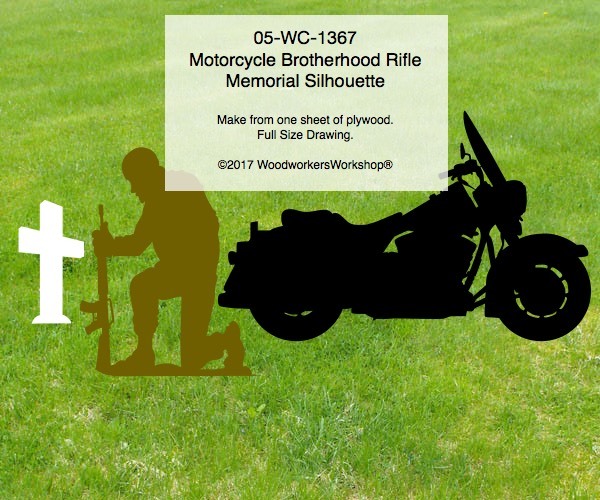 Memorialize a fallen friend with our memorial silhouette. Contact us if you are looking for a different silhouette of motorcycle. He is making a list and checking it twice! Put yourself not he nice list and build one of these Christmas yard art projects for the next season. If you don’t have time to paint we also offer a self adhesive vinyl color print that you can apply to any flat or curved surface. 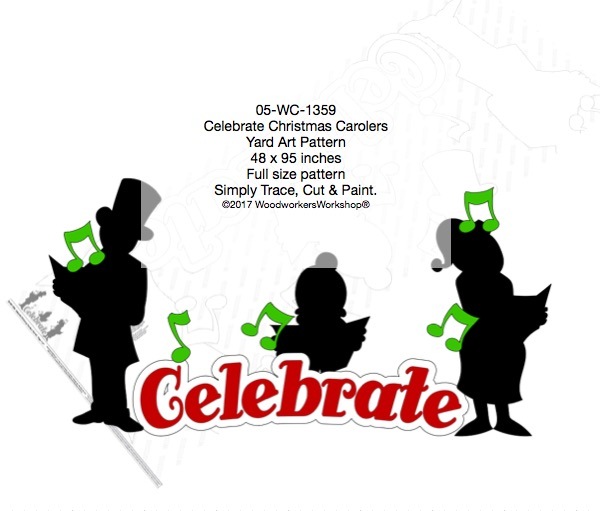 A new Christmas theme yard art woodworking pattern in our online store today, our Celebrate Christmas Carolers. A silhouette family of carollers ready to greet your next visitors! 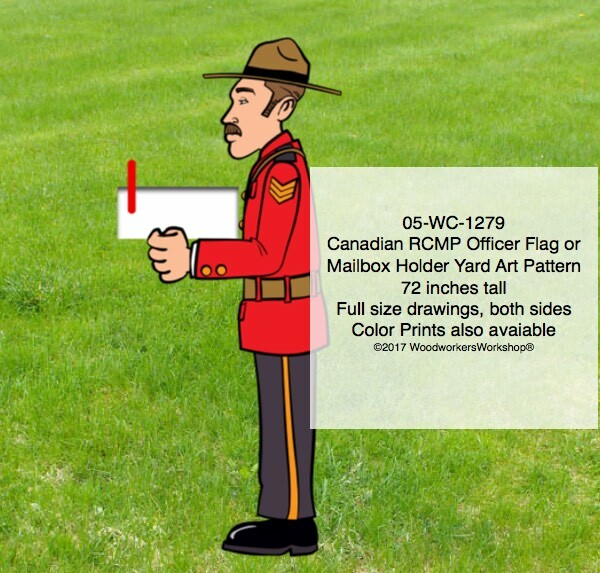 We created a couple new yard art projects this week, an American Uncle Sam and also a Canadian RCMP Officer mailbox/flag holder. Yesterday we created a new yard art project, a 6ft tall Uncle Same yard art project. 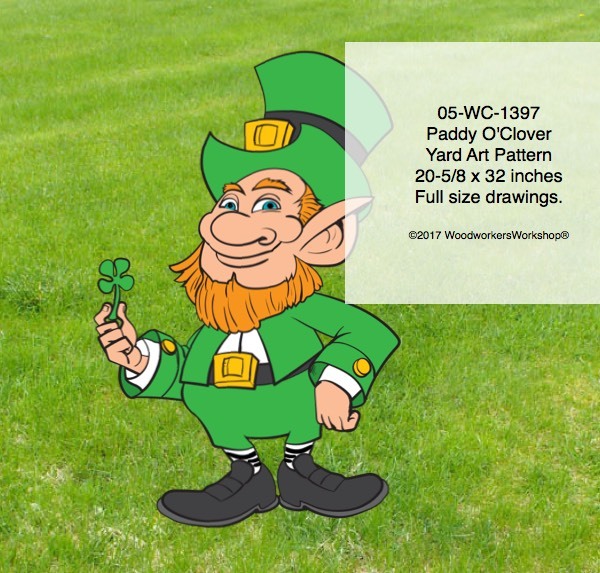 Paddy O’Clover, our small but mighty leprechaun, now makes his appearance in time for St. Patrick’s Day celebration! Full size drawings available our online store. 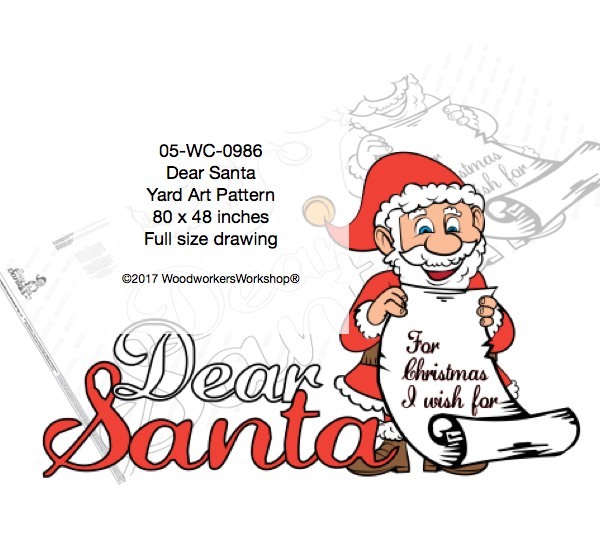 Today we are proud to show off our newest Santa Claus woodworking pattern. We had a custom request for this design from a customer, and we were pleased to take on the task of creating a design for them. 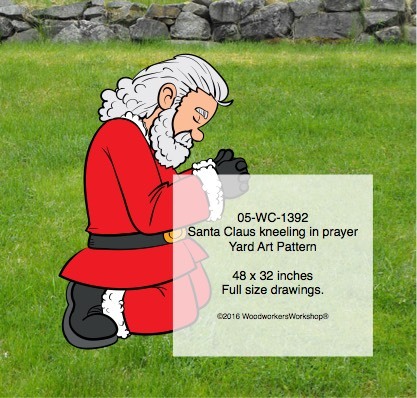 This Christmas yard decor would look ideal next to a nativity manger scene, or next to the wisemen in a creche.